Making your own ketchup is so simple I’m pretty sure you could do it blind-folded. 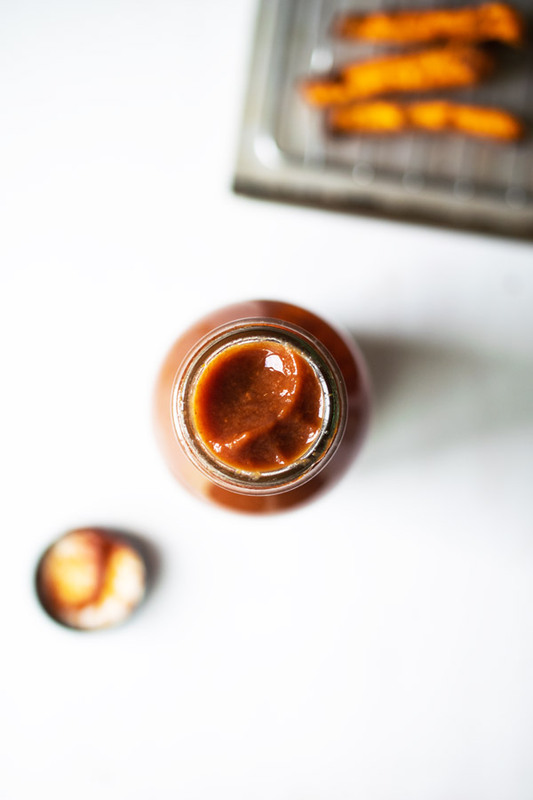 This Date-Sweetened Ketchup is just a few ingredients and takes just minutes to make. 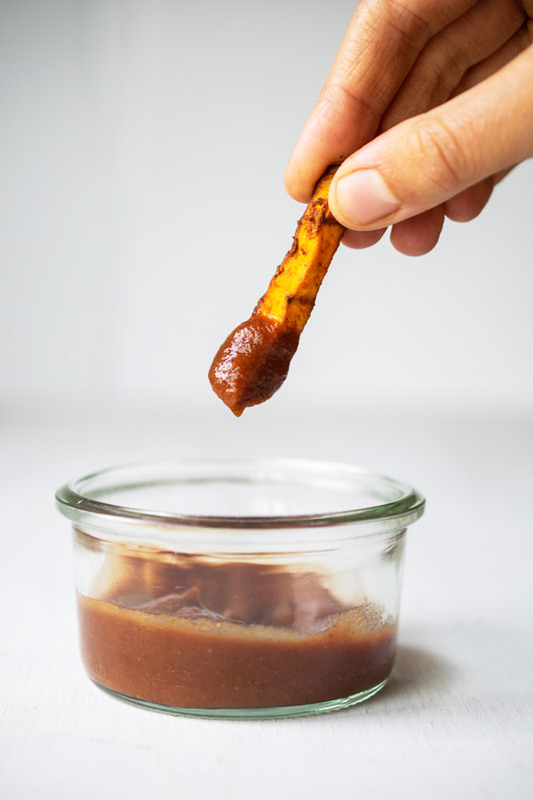 Skip the refined sugar and high fructose corn syrup with this whole-food-based ketchup sweetened with nutrient and fiber-rich dates. Almost every brand of store-bought ketchup you come across has either high fructose corn syrup, corn syrup, cane sugar, or all of the above. Many people don’t realize the amount of hidden sugar: there are typically 4 grams of sugar in 1 tablespoon of ketchup (the serving size). 4 grams = 1 teaspoon. How many people, especially kids, only have 1 tablespoon of ketchup?? Probably not many. Which means that refined sugar can add up quickly. So let’s skip the refined sugar and high fructose corn syrup and make our own. As whole and nutrient-dense as possible. Sun-dried tomatoes. Tomatoes are rich in vitamins, minerals, and phytonutrients like lycopene. Using sun-dried tomatoes is a great way to get deep tomato flavor and those nutritional benefits of vine-rip tomatoes even when it’s not tomato season. Dates. My go-to sweetener because dates are a whole food, which means they have fiber and a wide array of nutrients – potassium, calcium, iron, and B vitamins, etc. Raw apple cider vinegar. A vinegar byproduct of fermented apples, raw ACV still contains the “mother” – a term used to describe a colony of bacteria and yeast formed during the fermentation. While ACV isn’t a cure for everything (even if the internet says so), it does have benefits to it and in this particular recipe, lends probiotics and helps with the development of flavor and texture from the mustard seeds. Buy it organic, unfiltered, unprocessed. 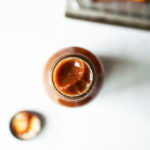 Making your own ketchup in just minutes is so simple. 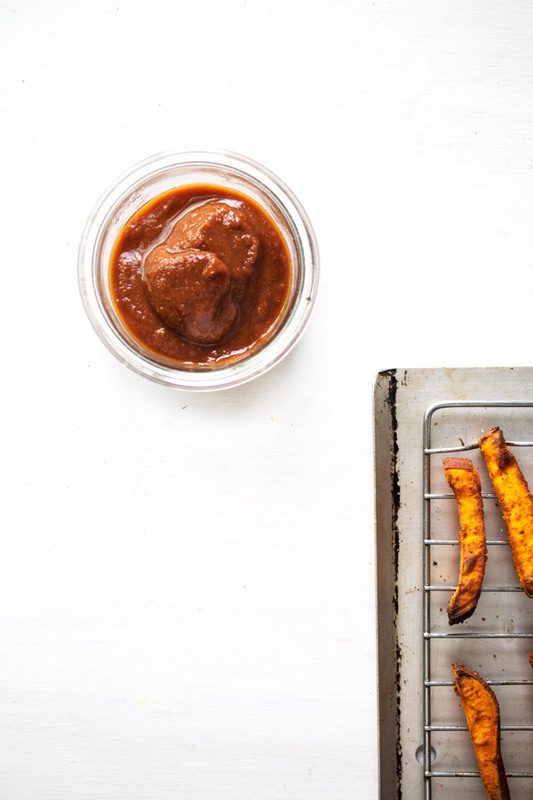 Skip the refined sugar and high fructose corn syrup with this whole-food-based ketchup sweetened with nutrient and fiber-rich dates. Drain tomatoes and add to a high-speed blender. For one standard ketchup bottle, start with about 1/2 cup tomatoes. Add the remaining ingredients accept for the water. For reference, I begin with 1-2 dates, a few splashes of vinegar, and spices as desired. Blend on high until smooth, streaming in water to reach desired thickness. Taste. Assess the sweetness, acid and spice level. Adjust by adding in more to taste and blend until incorporated. Stores in the fridge up to a few weeks or make in bulk and freeze in small jars (may need to blend again after thawing). Sun-dried tomatoes can be swapped for canned tomato paste.